LAKE MACBRIDE— After nine hours, the yard work came to a halt. There was a lot more that could have been done—picking up grass clippings for mulch, trimming trees and bushes, taking down the second tomato patch—but nine was all I could do. I left the hot and sweet peppers to grow, and the kale, but that was it. It is time to call it a year for the garden. Between the CSA and our garden, there is no shortage of food in our house. Now comes the processing before it goes to compost. The pears were starting to go bad, so I salvaged what was good and added an equal weight of apples—McIntosh, Song of September, Blondie, Cortland, Haralson and Jonamac. I was a little short, so I picked enough Red Delicious from the tree in the yard to fill out the weight and made a sauce with the whole lot. The pears sweetened it so no sweetener was needed. It made three quarts and tasted great. Hot peppers are in abundance this year. 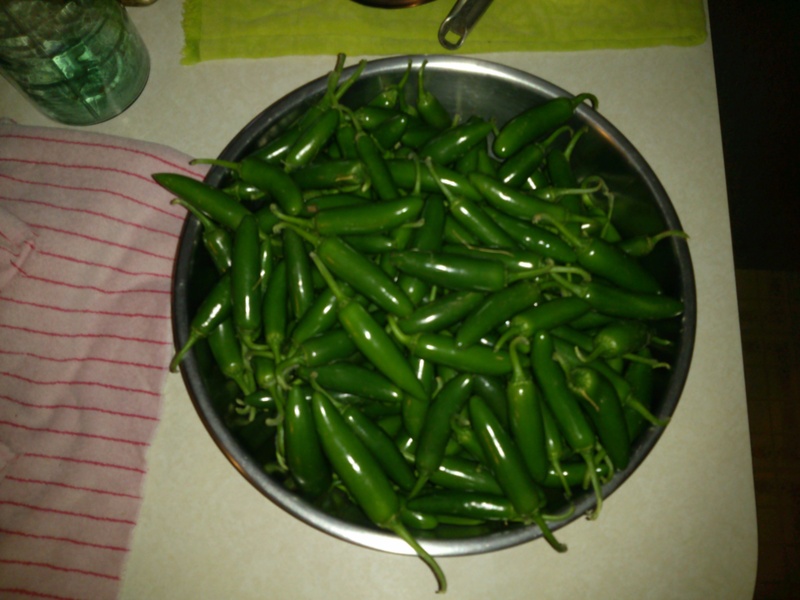 Dehydrated halves of jalapenos were ready to bag and eventually be turned into a powder. I replaced them with whole Serranos to see if they would dehydrate to make pepper flakes. The rest of the abundance is in zip top bags in the refrigerator awaiting disposition. I picked what was good in the tomato patches yielding two full trays. They all produced well, more than we need. With the fresh and canned tomatoes, we will last until next August. This morning I made soup using kale, celery, carrots, onion, canned diced tomatoes, soup stock, bay leaves and dried chervil. I added a quarter cup of pearled barley. The home grown celery tastes like no store bought celery does, and next year I expect to grow more. There is so much kale a lot will be composted. Some went to the library friends, and the rest is in large garbage bags in the refrigerator taking up space. Eventually it will all find a home. This afternoon I put the garage back together and returned the automobiles inside. I need another day in the yard, but am not sure when next that will be possible. It’s back to all of my part time jobs for now, hoping ends will meet at the end of the month. One thing is sure, we’ll have plenty to eat. This entry was posted in Local Food and tagged cooking, homelife, local food. Bookmark the permalink.